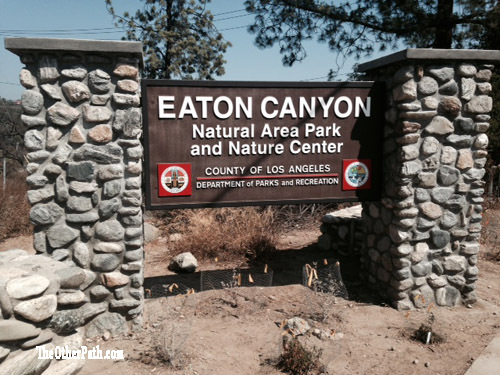 Nestled at the bottom of the San Gabriel Mountains, Eaton Canyon is a beautiful hiking area and nature center in Altadena, CA. This park is open from sunrise to sunset and has public restrooms, a fair amount of free parking, easy trails to treacherous hikes, and waterfalls. Additionally, they also have a nature center/gift shop that features a few rescued live reptiles (encased in glass), historical features on the area, animal inhabitants, and flora/fauna information. 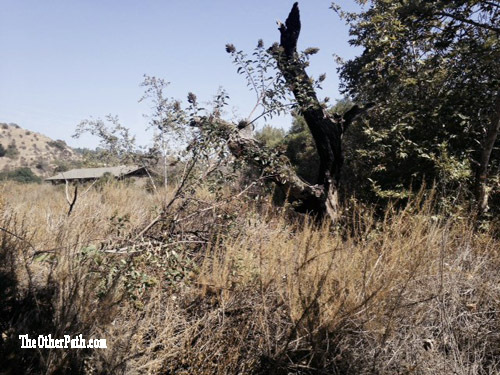 There are several areas you can walk which are smaller offshoots if the main trails. 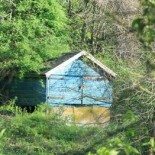 -Bring water, a hat, snacks and sunscreen (there may be a soda vending machine outside the Nature Center). -If you’re afraid of heights, the waterfall path may be a better option. As you ascend to the top of the mountain, there are steep drop-offs with no trail guard railings. Mountain bikers beware of sharp twists and turns. 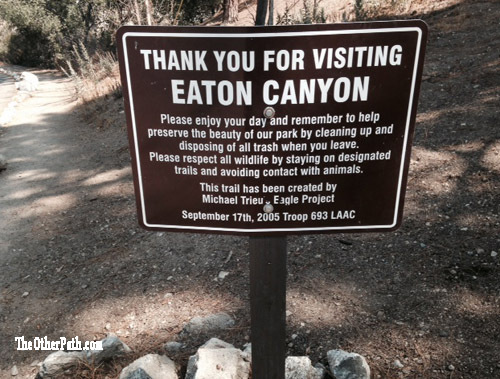 (Note: As of August 2014, certain parts of trails are closed due to this reason and recent rescue efforts). 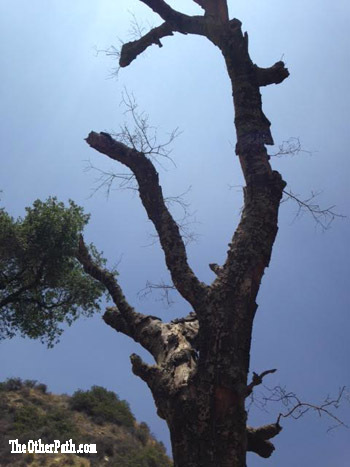 -It can be a wonderful hike and you will probably always have companion walkers nearby (which is comforting if you’re wilderness phobic or daunting if you crave solitude). If you’re if the latter, best to go on weekdays that are non-Holidays. 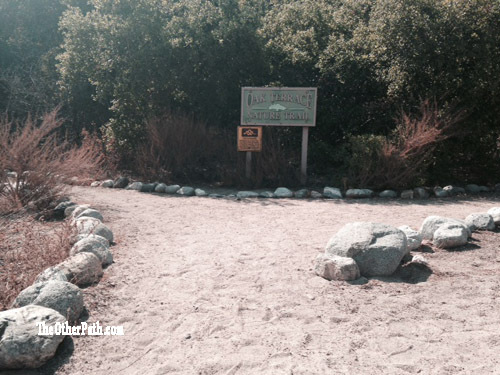 -There is a picnic area with shaded tables and are somewhat sandy. 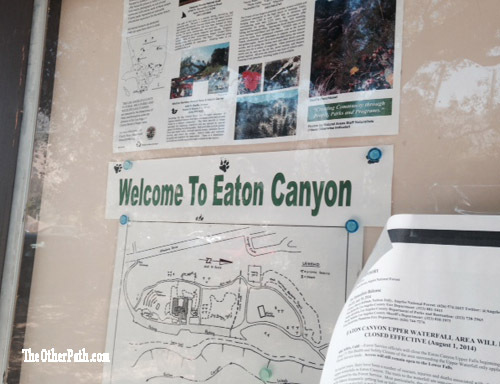 Check out one of the many Meetup.com groups to hike Eaton Canyon here. 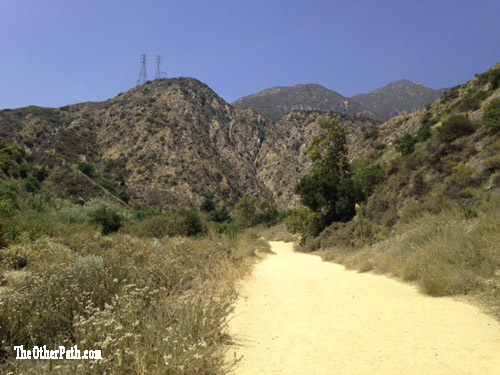 This entry was posted on August 16, 2014 by TheOtherPath and tagged altadena california, artist date, eaton canyon nature center, hikes in los angeles, hiking, la trails, Things to Do in Los Angeles.